Our thanks to Danielle Kunkle, for this contribution to our blog. Though Medicare has been around since 1965, there are changes each year that affect your premiums, copays and deductibles for the next year. Sometimes there are also legislative changes that can impact your benefits. Let’s look at an overview of Medicare for 2019. Original Medicare includes Part A hospital benefits and Part B outpatient benefits. You enroll in these two parts via the Social Security office during your Initial Enrollment Period which begins 3 months before your 65th birthday month. Part A covers inpatient hospital, hospice and skilled nursing. Part B covers most other medically necessary services on the outpatient sides, such as doctor visits, lab testing, emergency care, physical therapy, chemotherapy and much more. The most recent part of Medicare is the voluntary prescription drug program that we call Part D. This will help to reduce the cost of your retail prescriptions. Although Medicare covers the majority of your healthcare expenses, you are responsible for some cost-sharing. This includes deductibles, copays, and coinsurance. On the outpatient side, Medicare only covers about 80% of your covered procedures, and you are responsible to pay the other 20%. For this reason, most people enroll in additional coverage to help them with their cost-sharing. There are two primary types of supplemental coverage: Medigap Plans and Medicare Advantage Plans. Medigap plans are also known as Medicare supplements and these plans pay after Medicare. In most states, you can choose from one of 10 standardized Medigap plans. These plans allow you to treat with any Medicare provider nationwide and you don’t have to choose a primary care doctor. Since Medigap plans don’t include outpatient drug coverage, you would enroll in a standalone Part D drug plan as well. 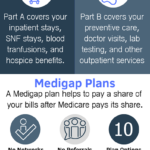 Medicare Advantage plans (Part C) is optional coverage in which you can get your Medicare Part A and B benefits through a private insurance company that offers a network of providers. These plans often have lower premiums than Medigap plans but you’ll pay copays at the time of service for various medical services. Between Medicare and the right supplemental coverage, you can rest assured your benefits will cover you well without breaking the bank. I get to take a look at products designed for older adults every day. This year I brought technology from two companies I have known since their start-up days into the homes of my parents. After the passing of my step-dad, my Mom decided she wanted a medical alert device. We turned to Greatcall and Lively. As I knew it would be, the service she has received has been exceptional. My Dad, who lives in a rural area, expressed an interest in some sort of device to stay in closer touch with us. He was especially missing all of the photos of his newest great grandson. Knowing that he is not tech savvy, we were reluctant to put an ordinary tablet in his hands. Instead we turned to GrandPad. 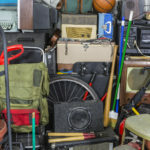 Because of his location, the set-up proved difficult, but the service was excellent, we were communicated with about solutions, and understood the issues. I am happy to be the influencer on these purchases, and to experience the service models these companies have created. While I live and work in the world of technology, I’ve been working very hard this year to uncover things being created for older adults that bring joy, comfort and fun. 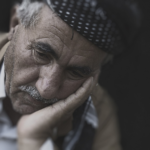 There is plenty of investment in technology that solves for the dissonances of aging. There is not nearly enough focus (or funding) on joy. My short list of gift ideas is focused on this theme! Loved1 is subscription gift box for older adults that contains items focused on wellness and happiness. The difference is that the items are carefully curated to encourage engagement between the sender and receiver. 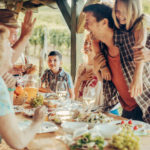 Subscribers, usually the adult children, receive an email about the items in the box and an Engagement Guide filled with ideas to promote rich conversations and fun interactions. Subscriptions come in 12, 6 and 3 box options. 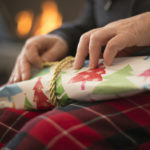 This is the perfect gift for your family member living in a community to encourage family members of all ages to visit and engage around fun activities; and if you are long distance caregiver, the items in the box create conversations beyond the basic check-in calls. You can listen to my friend Paul Vogelzang’s Podcast with Loved1’s Joe Adams to learn more. Bridges Together is the go-to organization for intergenerational engagement. They offer training and tools to help individuals and communities embrace and create a truly age-integrated world. Schools, communities, and companies use the Bridges curriculum to create all types of intergenerational activities. 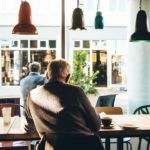 Founder Andrea Weaver calls intergenerational engagement “an inoculation against ageism.” Become part of the age integrated movement and subscribe here. You can see the outstanding “How To Guides” that are part of your subscription. 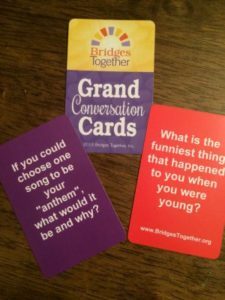 If you are looking for a fun stocking stuffer, or a way to stimulate non-political discourse over the holidays, check out the Grand Conversation Cards. This deck of cards has thought-provoking questions for people of all ages to encourage deeper conversations among multiple generations of family. These are great for the dinner table (sans devices), for workplace training, or you can play one of the games that come in the How To Guide. Jan Erickson created Janska from a dream about a jacket. She had an older friend who had become disabled from a series of strokes. The hospital gown became her wardrobe and Jan wanted to create something to keep her warm and also restore her “personhood” during this difficult time. That jacket that Jan sketched from her dream launched a made-in-America clothing company with five collections and accessories sold nationwide. 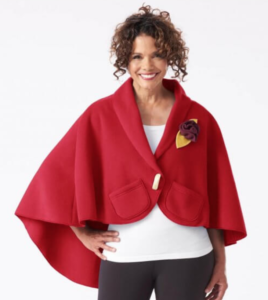 The Clothing That Comforts line is the embodiment of Jan’s philosophy that clothing does matter, and that soft, warm pieces provide dignity that can be lost when you are facing a health or mobility challenge. I gifted my Grandmother with the Lap Wrap Shawl and the MocSocks. (I love the MocSocks too!) Imagine the joy that the cozy fabrics and beautiful colors will bring to your loved one! However you celebrate the season, I hope you and your family have love, joy and fun! 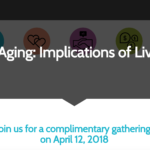 Excited to talk about The Business of Aging’s new research at AARP on April 12th! 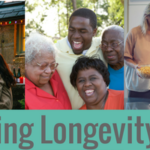 The Business of Aging’s new research, Hacking Longevity, will premier at AARP’s Living 100 event in Washington D.C. on April 12th. The event will feature an “experience” of key data points of attitudes and changes displayed along a timeline at the Newseum in Washington DC. The research is sponsored by AARP, GreatCall, Wells Fargo Advisors and Proctor & Gamble on the new Collaborata research platform. The agenda for the AARP’s Living 100 Event can be found here. 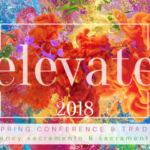 Watch our social media – Facebook/TheBusinessofAging and Twitter – @LoriBitter and @TheBusinessofAging for live updates!